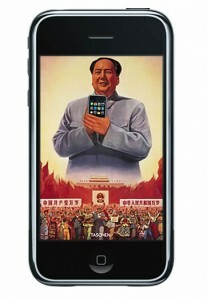 Apple’s iPhone rollout in China was perfect. POP displays, multi-media, online, the works. Perfect…textbook…execution. So, since this report says China Unicom has sold a total of five iPhones in two weeks, (total disaster,) it must be the fault of China Unicom. Think about it. The iPhone is the perfect device. Created by the CEO of the Century. Then it’s turned over to a third party to market in their country. Do the math and you figure out where the weak link is.